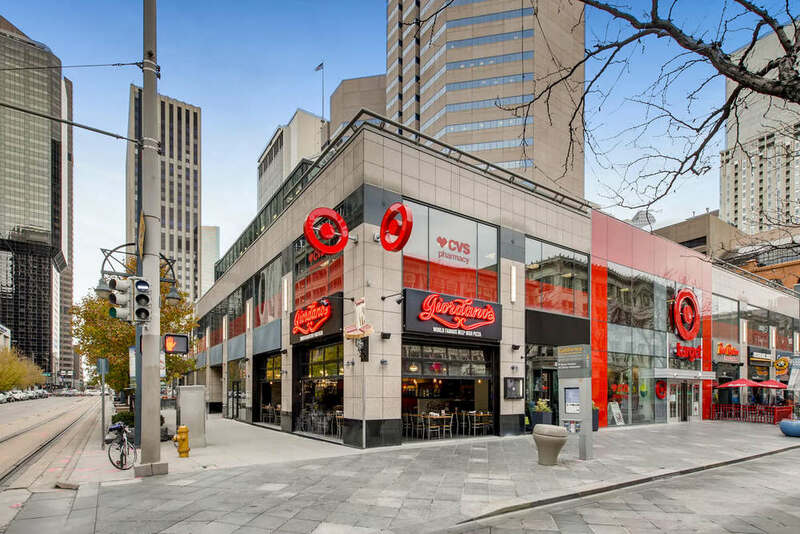 Nested in the heart of the Central Business District, our Denver restaurant is located between the Hyatt Regency Denver and the Curtis Denver, making it the perfect vacation dinner spot. Pop into our Denver restaurant after stopping by the Paramount Theatre or after a long day of shopping at the 16th Street Mall. Visitors and locals can both get an authentic, Chicago-style dining experience in our new Denver location. With recipes coming straight from the small Italian town of Torino, Giordano’s unique style of deep-dish pizza is becoming a national craving. Now you can enjoy our authentic Chicago-style pizza in the middle of the Centennial State. Our pizza has been named the best Chicago-style pie since 1974 because we use the best ingredients possible. From our slow-baked double-crust to the mozzarella we get directly from Wisconsin, each pizza is crafted with care from start to finish. At Giordano’s, we make it easy to feed the whole family with a broad menu of salads, starters, sandwiches and more. We even have gluten-free options.